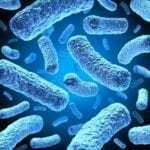 According to the Centers for Disease Control and Prevention, there could be as many as 12 million cases of waterborne acute gastrointestinal illness annually in the United States alone. These illnesses are frequently caused by bacteria, viruses and protozoa that make their way into well water as well as municipal water supplies. Unfortunately, these contaminants can survive in the environment for months. Even well operated, state-of-the-art treatment plants cannot ensure that drinking water is entirely free of microbial pathogens. System failures do occur, and not all systems are functioning at the levels they should. Bottled water, which is unregulated and varies considerably, may not offer any more safeguards against pathogens than tap water.